Four years ago, Tom and Karen Hamilton received a devastating diagnosis. A doctor informed them that their nine-year-old daughter’s slight clumsiness—which they’d tried treating with physical and occupational therapy—was neurological, not physical. Specifically, Annie suffered from a rare, progressive, and currently incurable disorder known as Friedreich’s ataxia (FA). “My wife and I didn’t know anything else to do but to try and attack the problem,” Tom Hamilton recalled. Having recently quit his 25-year Wall Street career to spend more time with Karen, Annie, and Annie’s three siblings, he was able to fully funnel his energy into Annie’s condition. He joined the board of the leading patient advocacy organization, the Friedreich’s Ataxia Research Alliance (FARA). He launched a biotech company, Chondrial Therapeutics, that is already moving a possible therapy—a proprietary protein replacement—into clinical trials. And to continue the fight in translational research, he set up and raised money for a foundation, CureFA, to further propel research. Now, at the Broad Institute, Hamilton’s latest impactful gift will empower scientists to understand the biological underpinnings of the disease, with the goal of producing more therapeutic possibilities—and ultimately delivering a cure. FA afflicts 15,000 people worldwide. Their cellular power plants, known as mitochondria, don’t make enough of a protein called frataxin. Insufficient frataxin levels cause energy-hungry cells like neurons to degenerate over time. Balance and coordination weaken. “You lose your ability to walk and know where your limbs are in space,” said Hamilton. Patients often suffer from a host of other conditions, too: scoliosis, diabetes, heart conditions, and vision and hearing loss. Like Annie, most FA sufferers are diagnosed as children. A decade later, they can expect to be wheelchair-bound. The most severe forms of the disease curtail life expectancy. Luckily, however, FA isn’t a black box. The frataxin gene at the disease’s root was identified in 1998. Since then, scientists have worked to understand its role. 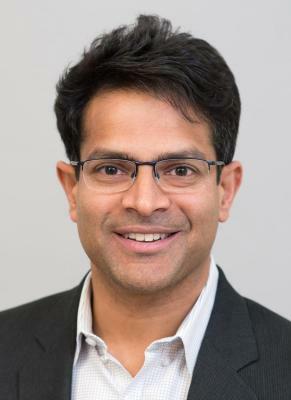 Institute Member Vamsi Mootha, co-director of the Metabolism Program and lead scientist on the frataxin effort, wants to lay the foundation for future FA treatments. His team already has a strong starting position: MitoCarta, a blueprint, or what Mootha calls a “wiring diagram,” for the molecular machinery of mitochondria. They’ve already used this resource to gain deep insights into other mitochondrial diseases. Now, they’ve set their sights on FA. GnomAD Doubles ExAC Dataset GenomeWeb covers gnomAD's unveiling at the American Society of Human Genetics meeting. Rare disease genomics With major grants from the National Human Genome Research Institute (NHGRI), the Broad is launching two state-of-the-art centers—the Center for Mendelian Genomics (CMG) and the Center for Common Disease Genomics (CCDG)—to sequence and analyze human genomes in order to propel understanding of both rare and common genetic diseases. A Genetic Variation Library Daniel MacArthur's Exome Aggregation Consortium collects tens of thousands of genomes to help scientists interpret genetic variation in the context of disease, reports Ed Yong at The Atlantic.